You’re not alone if diets just aren’t working for you: An estimated 50 million Americans go on a diet each year, and only about 5% manage to keep the pounds off. 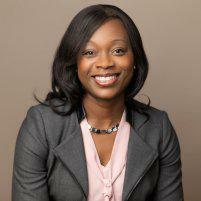 Dr. Kanayochukwu Anya understands the challenges of weight loss and is here to help. She’s proficient in all types of weight loss procedures, whether they are surgical, nonsurgical, or minimally-invasive. At her office in Fort Worth, Texas, Dr. Anya also offers diet counseling to help keep you on track. Call today to get started or book an appointment online. Weight loss surgeries, which are also called bariatric surgeries, are procedures that work by restricting the amount of food your stomach can hold. Most weight loss surgeries today are performed laparoscopically — or through tiny incisions in your belly — making these surgeries minimally invasive, with patients usually returning to work within one or two weeks. Each of these operations has its advantages and disadvantages, and Dr. Anya can help you determine which one is best for your specific needs. What are my nonsurgical weight loss options? Aside from weight loss surgeries, there also are nonsurgical alternatives, such as body contouring treatments. Approved by the Food and Drug Administration (FDA) and rising in popularity, body contouring treatments such as SculpSure® reduce excess fat by destroying or shrinking the fat cells underneath your skin. The procedures are quick, painless, and there’s little to no recovery time. What can I expect after a weight loss procedure? After weight loss surgeries, typically you follow a clear liquid diet the first day, and then pureed foods and protein shakes in the next few days. You must remember to eat small, frequent meals because your stomach can’t hold as much food as before. After any procedure, surgical or nonsurgical, it’s important that you continue to eat well and exercise. Dr. Anya offers diet counseling to help you plan healthy meals and successfully maintain weight loss. People have different needs and lifestyles, so no one procedure works for everyone. However, there are certain general criteria for bariatric surgery. It’s often recommended if your body mass index (BMI) is greater than 40, or if you’re more than 100 pounds overweight. Sometimes surgery is recommended if you have a BMI of over 35 along with one or more obesity-related conditions. Nonsurgical treatments such as SculpSure are typically a good option for people who are at an ideal weight but have stubborn trouble spots. Dr. Anya offers comprehensive evaluations and can help you figure out the best treatment plan for your specific situation. Call today or schedule a consultation online to get started.